In less than 48 hours I will be running The Colony Half Marathon just North of Dallas, TX! I registered for my half marathon back in June and I totally failed to share that little triumph with you guys. Now that I've made it through a full cycle of building my mileage back up and training for this race... I don't feel so scared to put it out there. Isn't that human nature though? We only want to share when things are going right. But what about when things are going wrong? Or how about us sharing when we aren't confident of what we can achieve? I'm sure most of use feel too vulnerable to share during those times. Anyways, I picked this race because I needed 3-4 months to train and it was literally the only fall race that was close to home and landed on a weekend that Brad is not working. As many of you know by now, Brad works 7-days ON and then he is OFF for 7-days. I really wanted Brad and Jo to be there during my first half marathon as a mama so I had a limited selection of races to choose from. This morning as I left Dallas to head to Austin it was pouring down rain. Fall rain usually is a good indicator of a cold front and I'm hoping that by the time I return tomorrow night the weather is nice and crisp. Cool weather does good for my running! It's expected to be around 50 degrees Saturday morning when we start the race. This race is only about 20-25 minutes away from home and I've heard pretty good things about it from local runners. 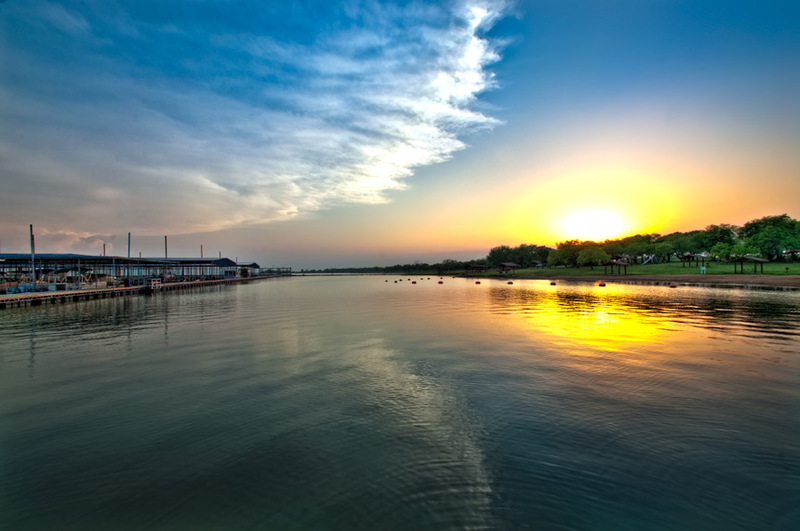 I've also heard that it provides a gorgeous view of Lake Lewisville at sunrise. Now I'm going to put it all out there. My coach has been asking me to think about a running goal for a while. My goal is to run a 2:15 or better. I'll need to average 10:18 for thirteen point one miles. I've had some really good long runs and overall I have been pretty consistent with my training plan (besides missing a few strength workouts). I'm trying to have confidence in my training and not doubt all of the effort I have put in over the last 4-5 months... but we all know that taper madness can make us somehow think the worst leading up to race day. Wish me luck! I hope I can report next week that I'm a half-marathon-mama!